Made-to-measure is all the rage. The Holy Grail of customer experience may be summed up in three words: simple, smooth and personalized. How do tailors go about attaining this goal? What sort of special service do they provide to their unique clientele? 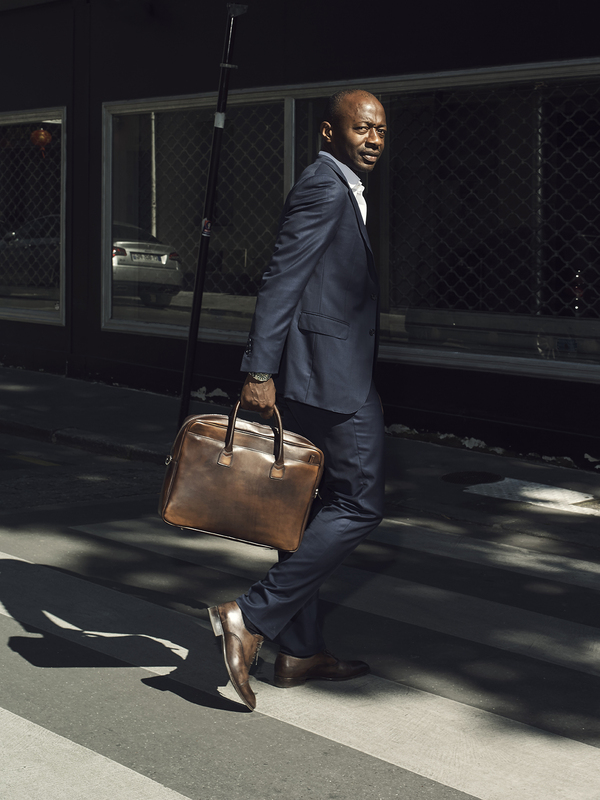 For Ludovic Kamgué, founder of Stradel’s, time and honesty are vital for anyone hoping to survive and thrive in this line of business. Located at 65 avenue Bosquet, at the heart of the city’s wealthy 7th arrondissement where rich families and people of power and influence live side by side, Stradel’s service can be described in three words: know-how, time and discretion. After spending a few years working for large couture houses supplying prestigious brands, Ludovic Kamgué, a young textile engineer, took the plunge and opened his first store 18 years ago, in the 7th arrondissement, on rue du Champ de Mars. Adapting schedules and even the layout of the store also turn out to be essential. The store has a room with a settee for spouses, who often have to wait around during fittings. A computer and books are also available to customers to pass the time or work during a pause in the fitting. Does he simply believe in a technology-enabled customer experience? Might it not help him to industrialise the concept? The desire to remain faithful to the company’s values is greater than the desire for growth at any price. In fact, when we talk about certain competitors who operate in the same niche, the word “usurper” comes to the lips of Stradel’s founder. Still as passionate about the product and the tailoring profession as twenty years ago, he is not willing to lower his level of service. Read more from Business is business, here.